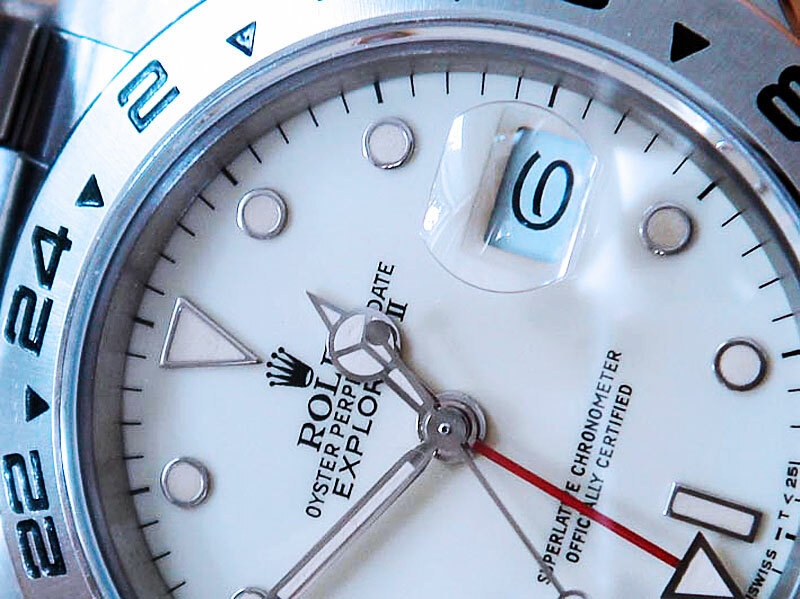 The original Cream Dial Rolex Explorer II had white-gold indices and hands as opposed to the standard today which has black indices and hands. The original white dial Explorer had a dial that was off-white or cream colored. You can tell in this photo because the date wheel is true white.